available in all Liturgical colors. Embroidered front only. Christ the Victorious King. Simply stated and very reasonably priced Vestment with Multicolor Swiss Schiffli Embroidered Cross and Crown. Lightweight, amply cut Textured Fortrel-Polyester Linen Weave chasuble has matching self lined stole included at no extra cost. 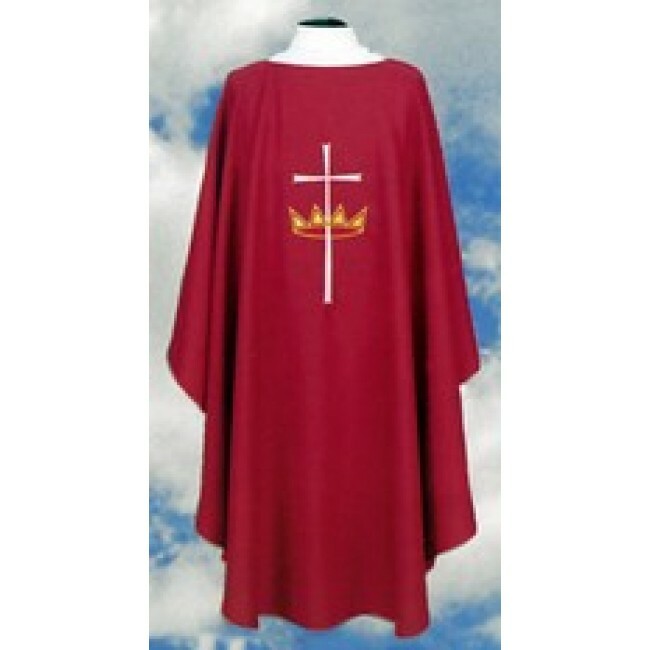 Chasuble available in eight liturgical colors with 3 ½" Roll Collar or without. Matching Chalice Veil also available.